Note: This course is open to individuals in Wellington through Victoria University Professional and Executive Development. 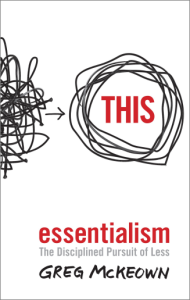 A condensed version of this course is also available as part of the Skills Essentials course. If restaurant kitchens were filled with untrained cooks, we would be forced to endure poor quality meals, frustrating delays, wasted ingredients, and inflated wage bills. Those who write as part of their jobs are professional writers, yet most are untrained. They can all produce documents, but not necessarily timely, cost-effective ones. In just one day, this course corrects this very common and very costly educational omission. 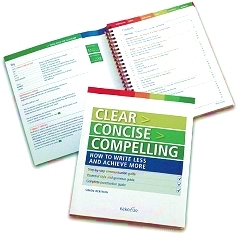 All attendees receive a copy of the Clear Concise Compelling writing guidebook by Nakedize founder, Simon Hertnon. Please note, in-house courses can be customised to focus on particular types of documents (emails, reports, business cases, etc) and particular business areas (customer service, finance, IT, etc).